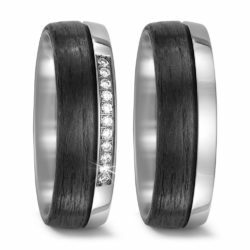 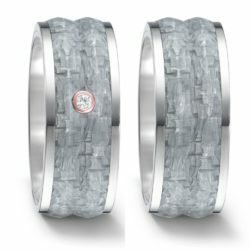 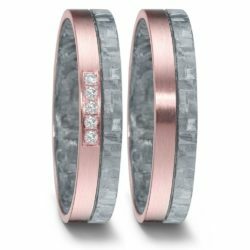 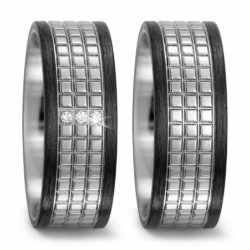 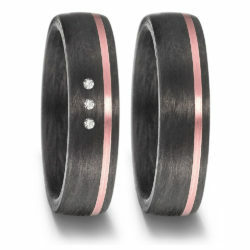 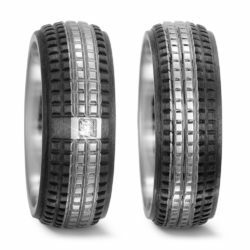 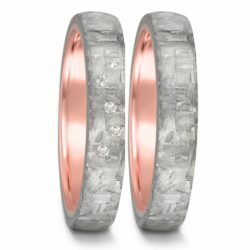 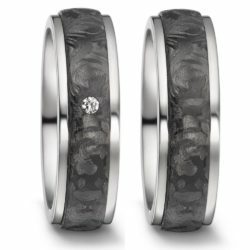 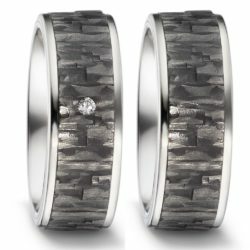 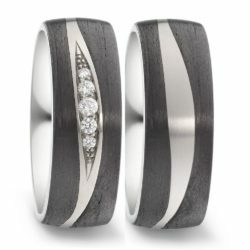 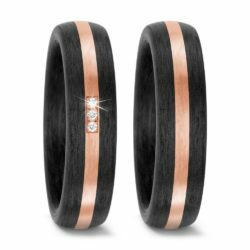 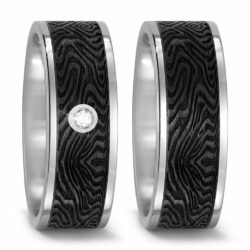 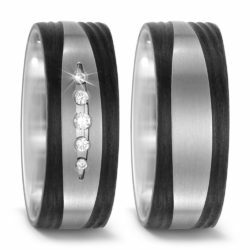 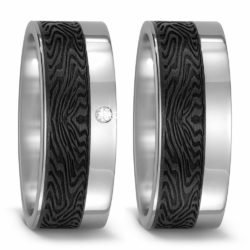 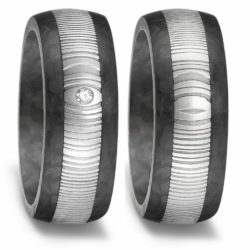 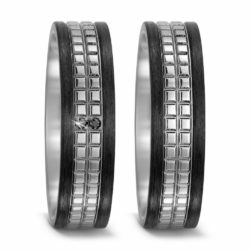 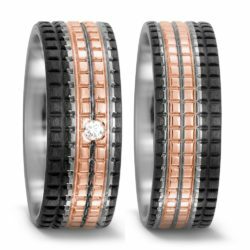 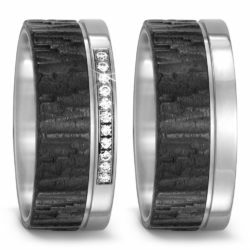 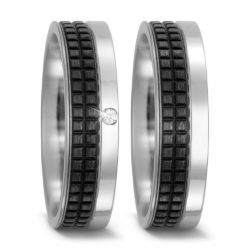 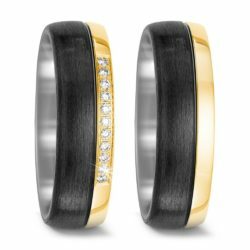 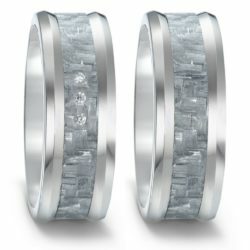 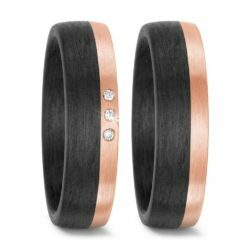 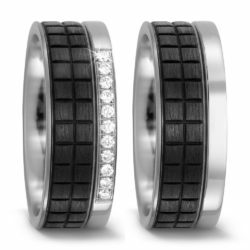 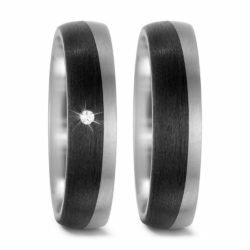 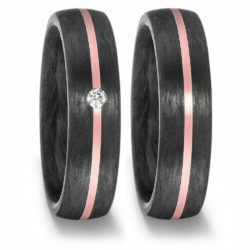 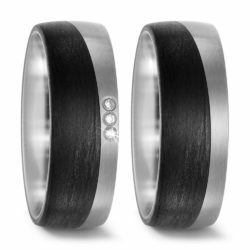 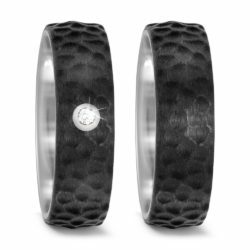 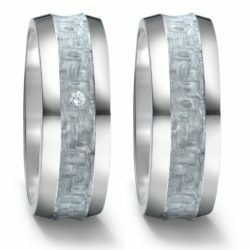 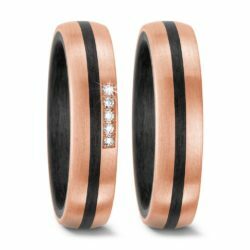 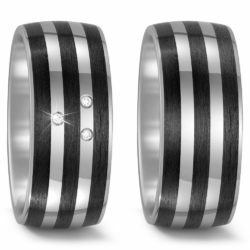 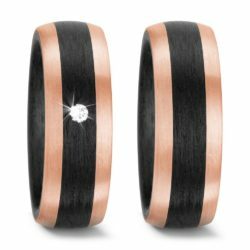 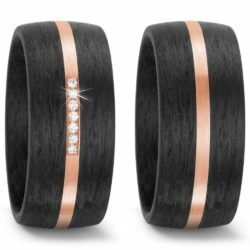 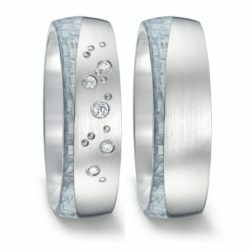 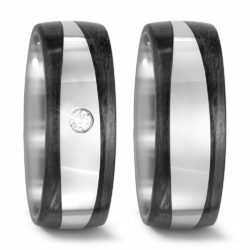 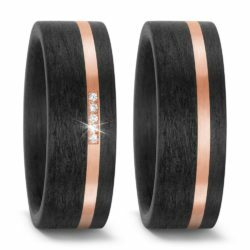 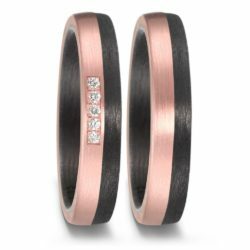 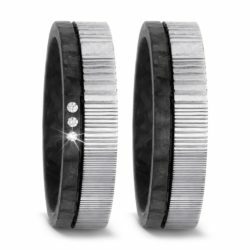 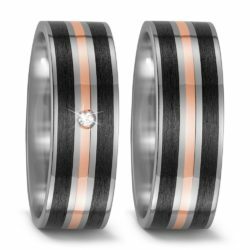 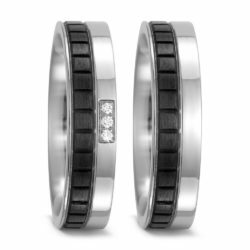 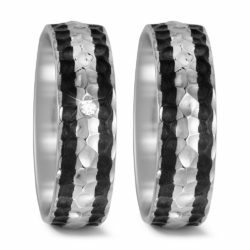 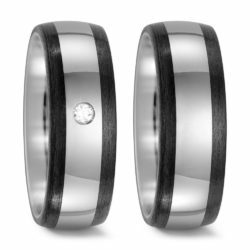 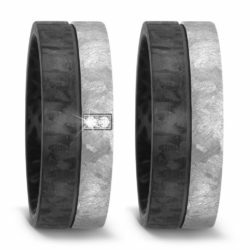 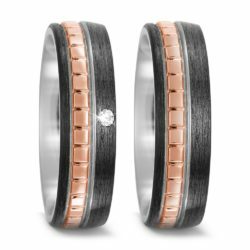 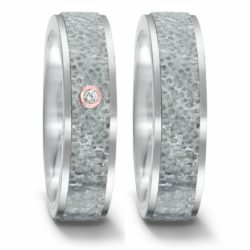 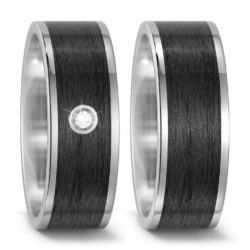 From carbon fiber, we create luxury rings with a durable and exciting surface. 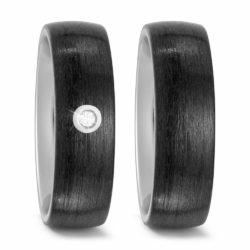 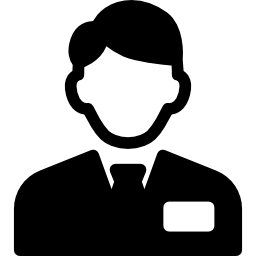 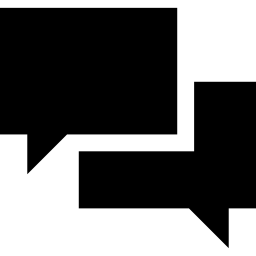 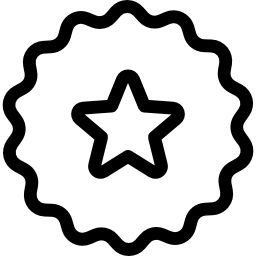 There are two forms of pure carbon, a deep black or pure white. 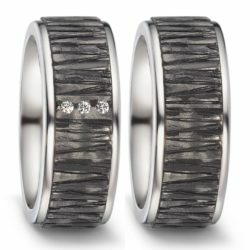 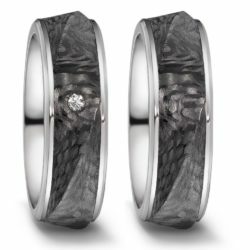 In this great collection, carbon fiber is combined with titanium, damascus steel, rosé gold or yellow gold.